Comfortable master bathroom with views of the large garden. Roomy and functional furnishing of modular LOUNGE furniture, length 200 cm. 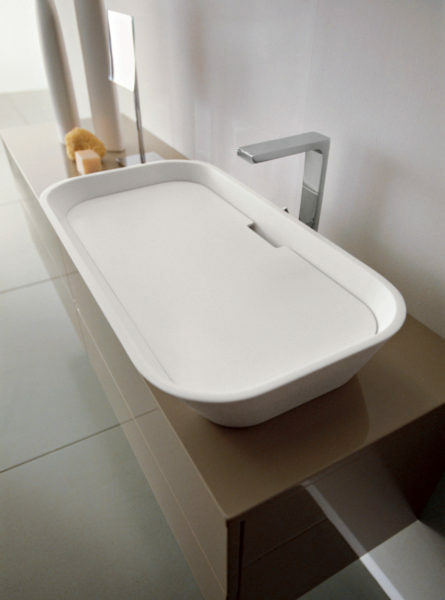 Ceramic sinks SLIM 60 40 recessed up top. 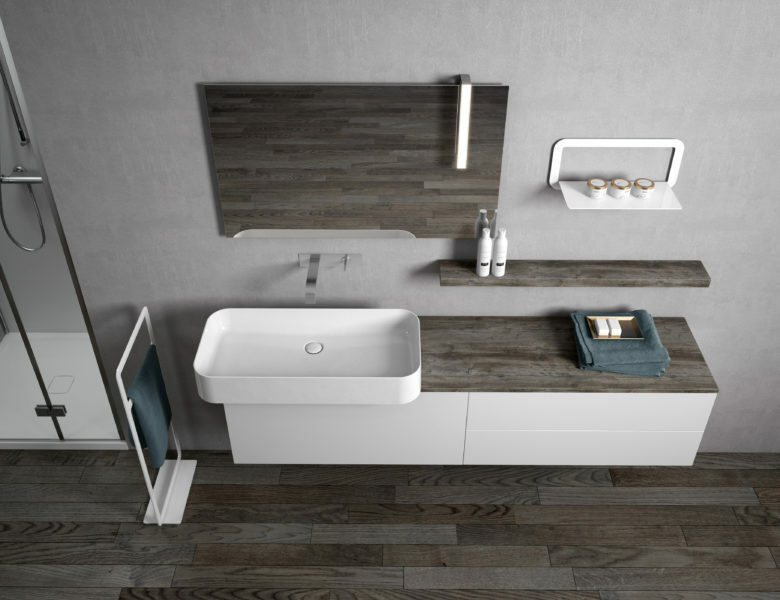 Top and drawer fronts in laminate aged wood effect "old wood"
Bathroom cabinet LOUNGE of minimalist design, only 40 cm deep and ceramic washbasin SLIM 80 38 mounted in overhang on two sides. Top laminate aged wood effect "old wood". 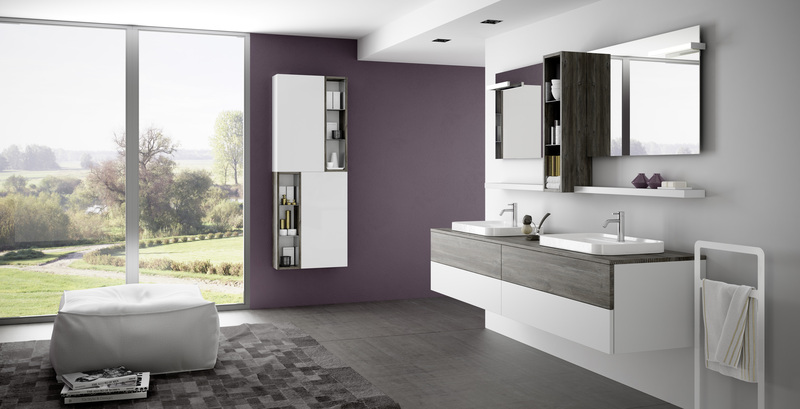 Storage shelf and towel holder in white steel of the series Q - line. 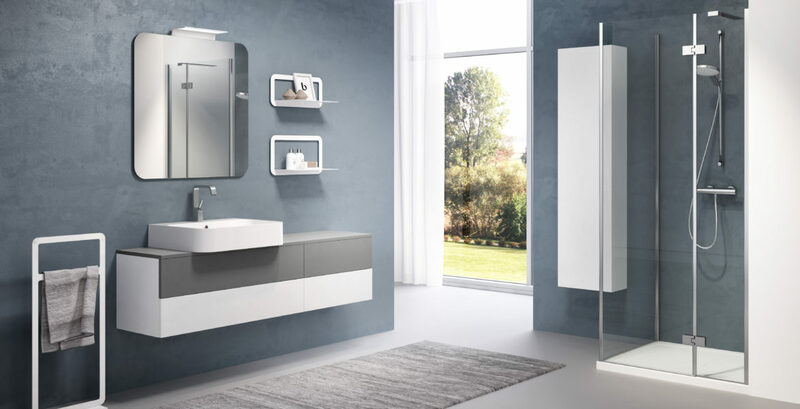 Basic bathroom furniture realized with furniture of the LOUNGE collection depth 40 cm Top, sides and front are in finishing materic "PLAMKY". 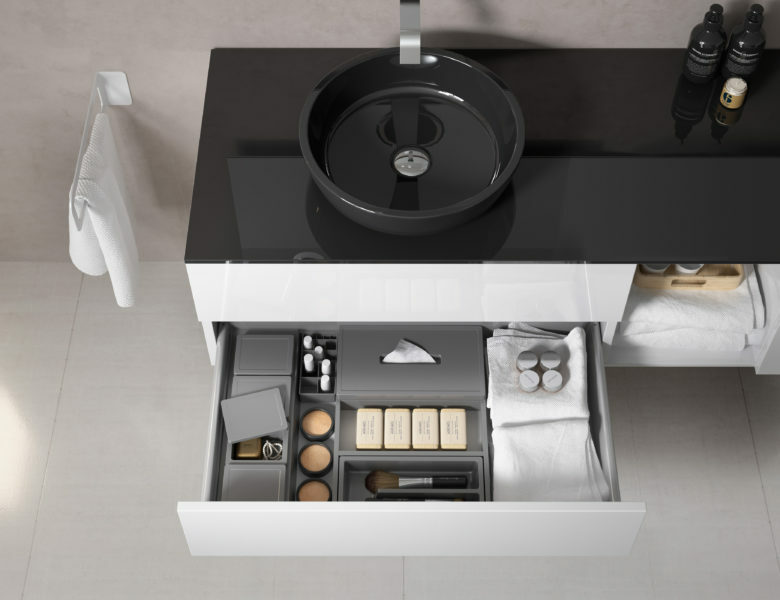 Drawers with push-pull opening system. 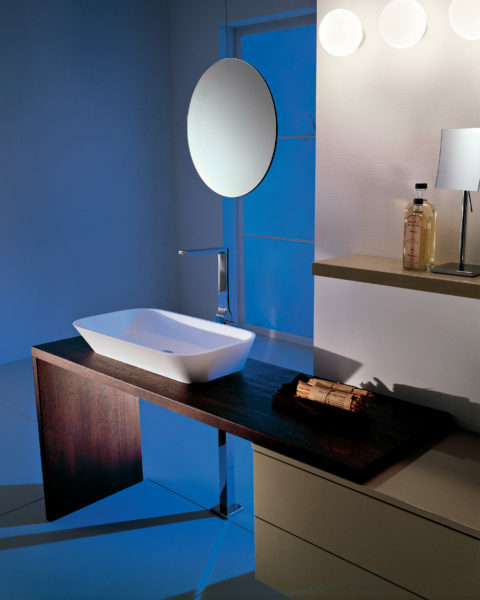 Wall mounted ceramic sink SLIM 60 48 model. Elegant setting with glossy white lacquered furniture of the LOUNGE series, consisting of a base with two drawers 80 cm long, central open compartment and base with two doors 80 cm long. Top length 190 cm and basins ROUND 42 cm diameter in black crystal. 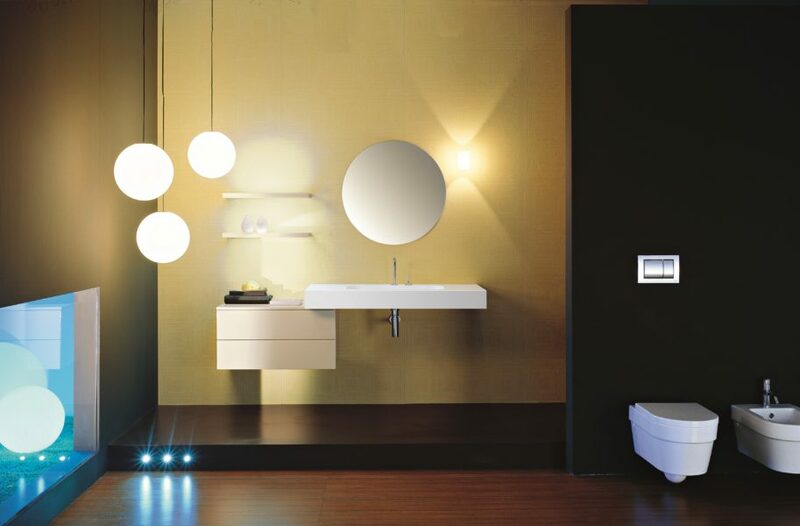 Elegant, modern and minimalist bathroom setting. 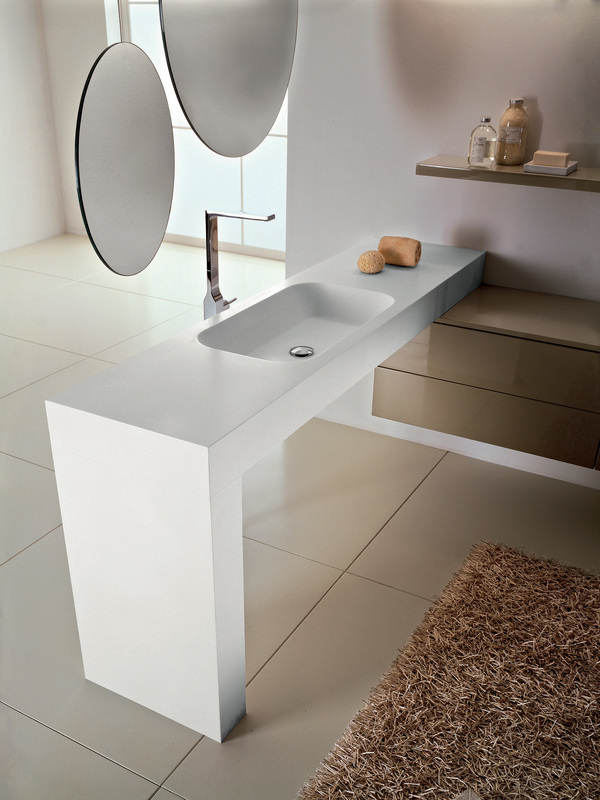 Cantilevered mounted top in Solid Surface with the side element on the floor. 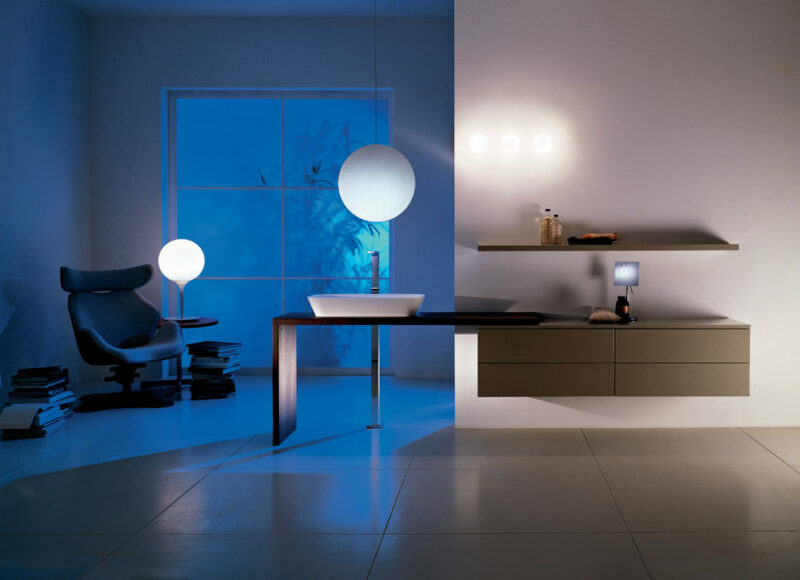 The LOUNGE furniture 180 cm long suspended to the wall, has four drawers push-pull opening, lacquered polished sand colour. The suspended mirrors " Dream" are double sided, and can rotate on themselves. 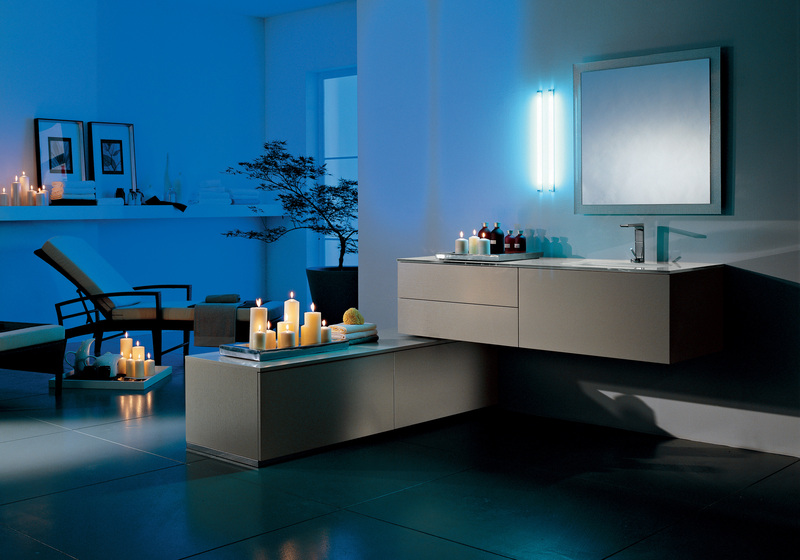 Scenic and basic setting of the LOUNGE collection. The top above which rests the FLY sink in Solid Surface is in blockboard veneered oak, stained moka. The cabinet with drawers is lacquered dark sand color. Top with sink extra clear white length 160 cm. 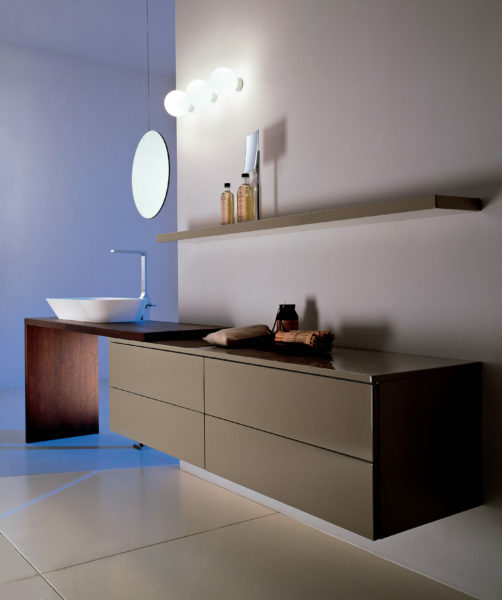 Lacquered furniture matt dark sand color. 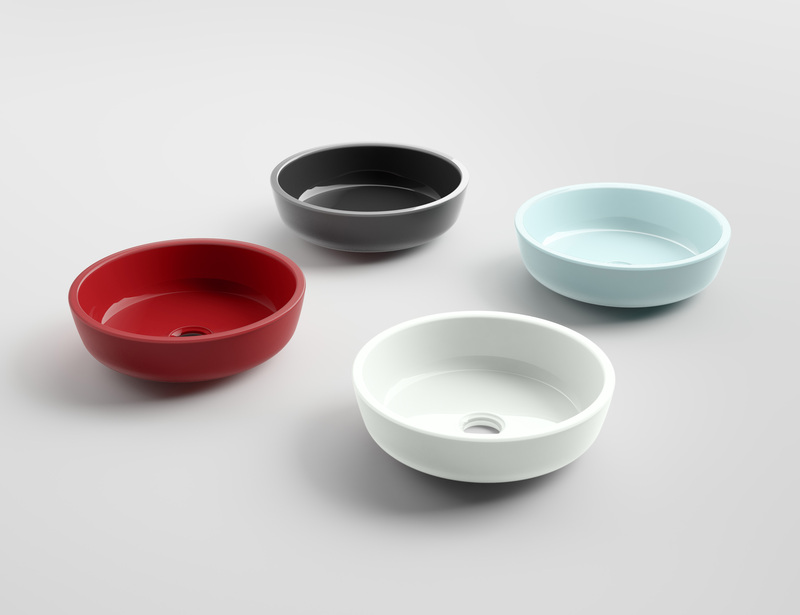 The ground base rests on a stainless steel socket. 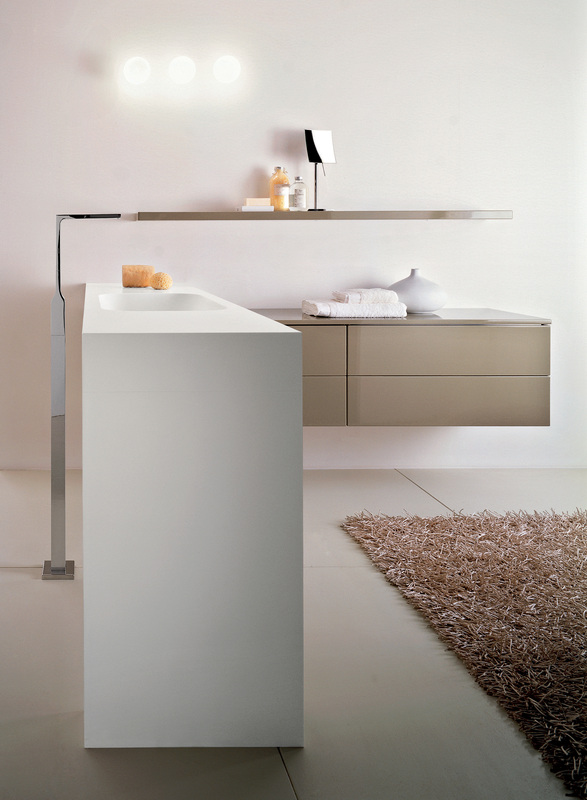 Side view of the modular range " LOUNGE" with the sink in extra clear white crystal. 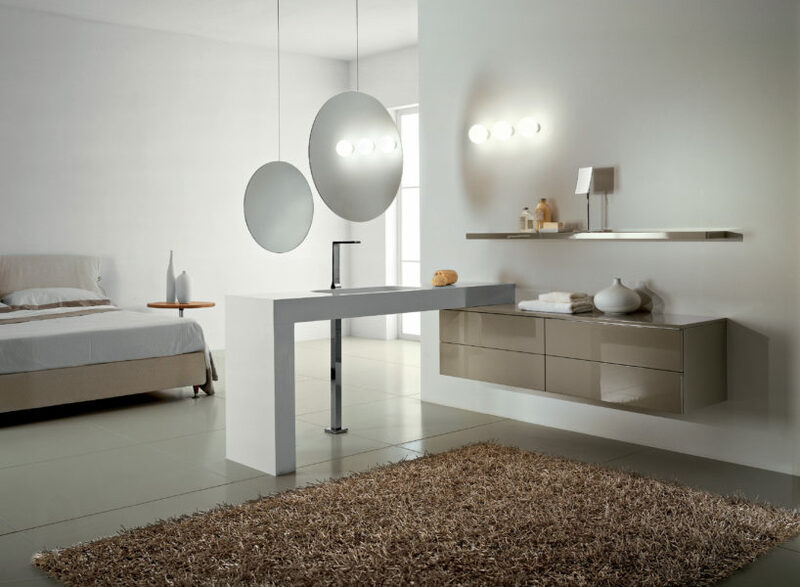 The furniture is lacquered matt dark sand-colour, and the ground furniture rests on the plinth in stainless steel.